Visual Power graphic helps you see the ball faster and react quickly. Textured casing offers superior touch. Nike Aerowtrac grooves for accurate flight right off the foot. 12-panel design for true and accurate ball flight. 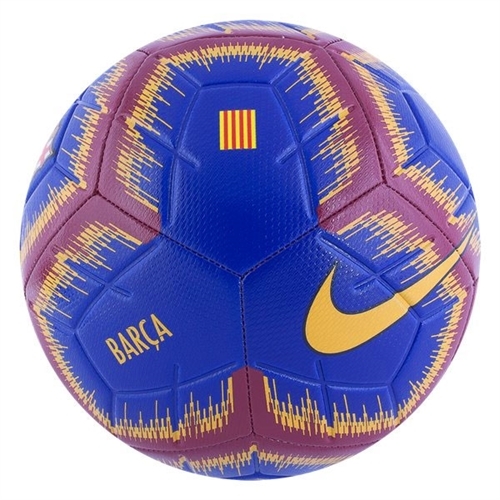 Our Nike Barcelona Strike Soccer Ball features team graphics on a tough, machine-stitched TPU surface for club pride and long-lasting play.